When Angela’s (Janet Gaynor) mother is gravely ill and needs medicine, she becomes desperate to do anything to get the money she needs. She tries prostitution, but when she doesn’t succeed with that, she steals the money. She’s arrested and sentenced to spend time in a workhouse, but she escapes to her home to see her mother, but her mother has died. With no money and nowhere else to go, she hides from the law by joining a traveling circus. Despite everything she’s been through, Angela is content with her life in the circus. Although she isn’t specifically out to find love, she ends up falling in love with a street painter named Gino (Charles Farrell). While she can’t forget her past, he sees her for who she really is. But when she falls and breaks her ankle, she has to give up performing in the circus so she and Gino go back to her hometown of Naples. She hasn’t told him about her past and it’s not easy being back home. Gino continues to paint and although he’s improving as a painter, they struggle to get by until he get hired to paint a mural for a church. She’s also afraid of her secret past being revealed. Gino really wants to marry Angela, but then her worst fears come true when a police officer recognizes her and she has to serve her one-year sentence in the workhouse. The officer gives her an hour to say goodbye to Gino, but she still won’t tell him what’s going on so she simply disappears from his life. Without Angela around, Gino is completely lost in life. His once promising painting career has gone downhill and he’s fired from painting the mural. When Angela is released, she’s once again, completely alone and penniless. With no other choice, she heads down to the wharf with the other prostitutes. It just so happens that Gino is down by the wharf looking for a woman to paint. 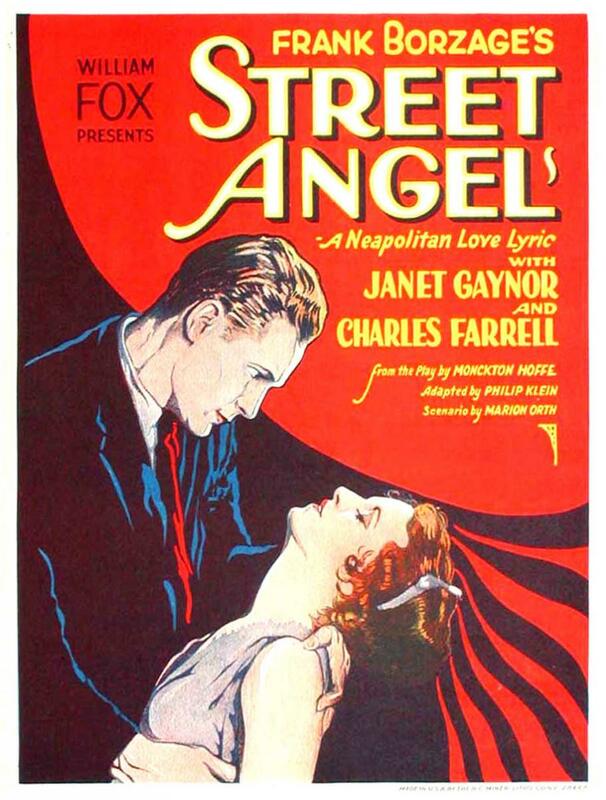 Street Angel is one of three movies that earned Janet Gaynor the honor of being the first actress to win a Best Actress Academy Award, the other two movies being Sunrise and 7th Heaven. Both Gaynor and Charles Farrell deliver great performances, they had great, very natural chemistry together. Gaynor in particular had the perfect amount of vulnerability that the role needed. In both Street Angel and 7th Heaven, Gaynor was directed by Frank Borzage, who does an exceptional job with Street Angel. For a movie full of mundane settings, Borzage found ways to work in some extremely dramatic shots and beautiful cinematography. Thanks to him, not only is the movie’s story beautiful, it looks just as beautiful, too, and Janet Gaynor’s performance was the icing on the cake. Posted in 1920s, NaBloPoMo 2015, Romance, Silents and tagged Charles Farrell, Frank Borzage, Janet Gaynor on November 21, 2015 by Angela. Mary (Barbara Kent) and Jim (Glenn Tryon) have never met, but they have much in common. They both live in New York City, they’re both single, and they’re both feeling pretty lonely. Mary is a phone operator and Jim is a factory worker and on 4th of July weekend, they’re both invited to join some of their coupled friends out at Coney Island. Not wanting to feel like a third wheel, both Mary and Jim decline the invitations, but after spending some time alone in their respective apartments, they decide to head out to the beach by themselves. Jim and Mary’s paths finally cross while they’re at the beach and the attraction is instant. They spend the entire day together having fun at the beach and at the carnival. At last, they’ve finally found the companionship they’ve been longing for. By now, they’re very much in love with each other, but when they end up getting separated during a commotion, it’s an uphill battle to find each other again. They only know each other’s first names and have a picture of each other to go on. I love Lonesome. I recently picked it up during a Criterion 50% off sale never having seen it before and I’m so glad I did. It’s a very pleasant, poignant film with a lot of very innovative things going on in it. Lonesome isn’t a completely silent film, it does have a few scenes with recorded dialogue. It also has a lot of very interesting editing and superimposition, which might not seem too exciting if you’re thinking of the modern editing technology available today. Those types of things were much more difficult in 1928. Director Paul Fejos even experiments with color tinting in some scenes. If you’re a big fan of getting to see vintage New York City and Coney Island pictures and footage, you’re in for a real treat with Lonesome because this has a lot of footage that was shot on location. It’s a beautiful film that deserves to be more well known. On the night of a sold-out opera, Captain Karl von Raden (Conrad Nagel) is only able to get a seat when another patron returns their ticket at the last minute. When he finds his way to his seat, he discovers his seat is next to the beautiful Tania Fedorova (Greta Garbo). The patron who had returned their ticket at the last minute was her cousin. They’re very attracted to each other and when Karl offers to take her home after the show, she hesitates at first but reluctantly agrees. Before they know it, they’re having a blissful day together out in the country. When Karl has to leave for duty, his uncle Colonel Eric von Raden (Edward Connelly) tells him Tania is actually a top Russian spy. He boards his train absolutely furious at Tania for betraying him. Tania follows him onto the train to apologize and tries to tell her that she really does love him, but he won’t have any of it. In a fit of anger, she steals the plans he was carrying and sneaks off the train during the night. Once Karl’s train reaches its destination, he has to pay dearly for his fling with Tania. He’s publicly degraded by his officers and spends some time in jail, but his uncle has a plan for how he can redeem himself by exposing a real traitor. As part of the plan, Karl has to pose as a piano player in Warsaw, but as fate would have it, he ends up playing at a party being thrown for Tania. They both still have feelings for each other and when they get to spend a brief moment together, it’s enough to put both of them in danger. I love The Mysterious Lady. Is there any more perfect title for a Greta Garbo movie than that? This is, in my opinion, one of Garbo’s most underrated movies. She and Conrad Nagel had good chemistry together and the story is really entertaining and fascinating. This is the kind of movie that’s really good at grabbing your attention at the very beginning and holding onto it at the very last second with lots of twists and turns along the way. My only complaint about it is that the ending feels a bit forced and tacked on. But otherwise, it’s fantastic. I’d love to see this movie on the big screen some day because Garbo is so stunning in it, seeing it in a theater must be absolutely breathtaking to see. Posted in 1920s, NaBloPoMo 2015, Romance, Silents and tagged Conrad Nagel, Greta Garbo on November 12, 2015 by Angela. Alfred Bruger VII (Fernand Gravet), a former king, is now living in Paris with his last two subjects, Count Humbert (Edward Everett Horton) and Duchess Anna (Mary Nash). His life has no direction, he never goes out, and the only enjoyment he gets out of life is by drinking himself into oblivion. Nothing interests him anymore, but one night, Humbert and Anna talk him into going out to the Folies Bergere in hopes he will find something that will bring him a little bit of happiness. At first, Alfred is totally unimpressed by the show at the Folies Bergere, but then chorus girl Dorothy Ellis (Joan Blondell) takes the stage and Alfred is instantly smitten. He insists that Anna and Humbert invite her to join him for dinner at home after the show. But when Anna arrives, Alfred is already asleep. Anna isn’t about to spend her night waiting for him, so she leaves, much to the amazement of Humbert and Anna. Not many women have the gumption to do that to Alfred! When Alfred wakes up the next morning, he’s disappointed to find that she left, but the fact that she doesn’t fall over herself to pursue a former king is very intriguing to him. In fact, getting ditched by Dorothy makes Alfred feel more alive than he’s felt in a long time, and he wants to see her again. Anna and Humbert are so impressed by the influence she’s had on him, they arrange for her to keep rejecting his advances and she agrees. But, of course, things get complicated when she actually does fall in love with him. The King and the Chorus Girl is most noteworthy for being Groucho Marx’s only attempt at screenwriting. 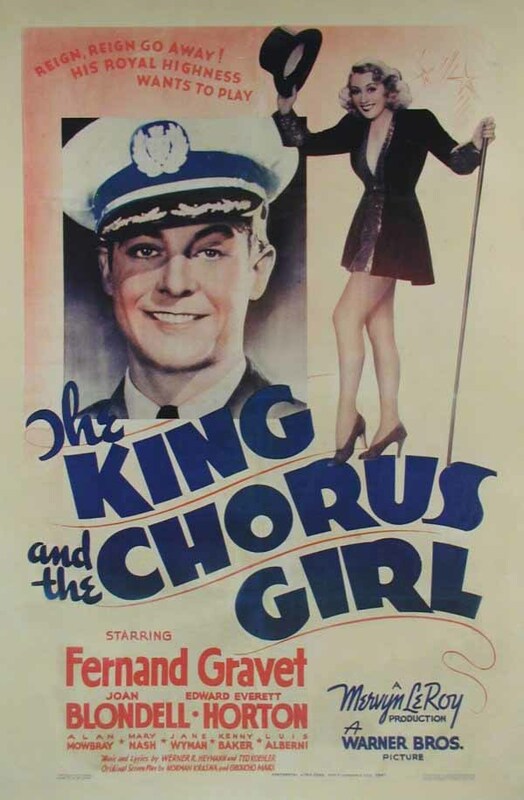 For being written by one of the Marx Brothers, the kings of completely anarchic comedy, I was pleasantly surprised by how grounded the style of comedy in The King and the Chorus Girl is. The script wasn’t perfect, but the movie is still funny and charming without being zany and off the wall. Actually, I appreciated getting to see a little bit of a different side to Groucho’s talents. I kind of wish Groucho had written more films because I think he could have potentially come up with something really great with a little more experience at screenwriting and writing for other actors. Joan Blondell in particular is an actress I though would do well in a movie with dialogue written by Groucho Marx, and she was indeed the high point of the movie. It wasn’t one of the highlights of her career or anything, but she’s likable enough in it. I think the movie in general could have been greatly improved with a different leading man; Fernand Gravet didn’t really do much for me at all. I probably sound like I’m being rather harsh on The King and the Chorus Girl, but I really did enjoy it for the most part, it just needed a bit more polishing. Posted in 1930s, 30 From the 30's, Comedies, Romance and tagged Edward Everett Horton, Fernand Gravet, Groucho Marx, Joan Blondell, Mary Nash on May 28, 2015 by Angela. Sadie McKee (Joan Crawford) works as a part-time maid in the home of the Alderson family, where her mother has worked as a cook for years. 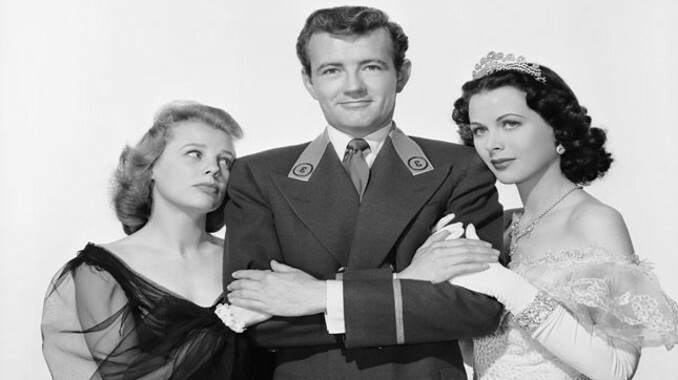 The Alderson’s son, Michael (Franchot Tone), has long had a crush on Sadie, but Sadie is in love with Tommy (Gene Raymond), who has just been fired from his job working for the Aldersons. While working at a dinner one night, she hears disparaging remarks about Tommy, tells them all off, and runs off to New York City with Tommy to get married. Once they get into town, Sadie and Tommy meet Opal (Jean Dixon), an older, hardened nightclub performer who helps them get a room at a boarding house. They plan to marry the next day, but need to spend the morning looking for jobs. While Sadie is out job hunting, Tommy is taking a bath at the boarding house and when Dolly (Esther Ralston) overhears him singing, she recruits him to join her nightclub act. He accepts, but has to leave town immediately, leaving a heartbroken Sadie behind. With some help from Opal, Sadie gets a job dancing in a nightclub and one night, a very drunk (and very rich) customer named Jack Brennan (Edward Arnold) insists that she join him at his table. It turns out that Michael is there with him that night. Michael warns Sadie to leave Jack alone, but she doesn’t listen and it isn’t long before they’re married. Although the marriage gives Sadie a boost in social status, she’s forced to deal with Jack’s alcoholism, which is on the verge of costing him his life. And although she deeply cares about Jack, her heart still hasn’t forgotten Tommy. Sadie McKee is a pretty quintessential 1930s Joan Crawford movie. She plays a working class woman who finds herself moving into a higher class, she gets to wear some fabulous Adrian gowns, and it was directed by Clarence Brown, who worked very well with Joan. 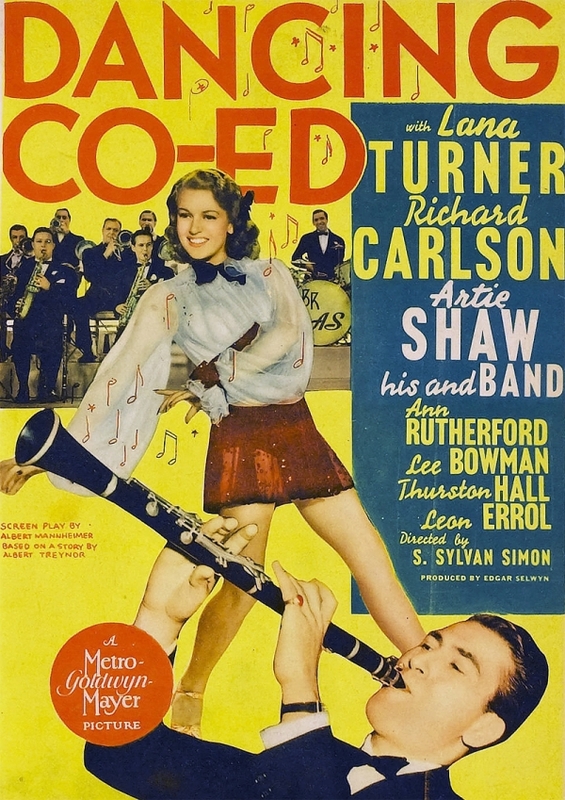 Plus it also starred one of her most famous co-stars, Franchot Tone. In addition to Tone and Crawford, Gene Raymond, Esther Ralston, Jean Dixon, and Edward Arnold are all great in their supporting roles. I thought Esther Ralston and Jean Dixon were particularly great in their respective roles; I loved the scene between Ralston and Crawford when she goes to confront Dolly. Sure, Sadie McKee may be a bit heavy on the melodrama, but it is entertaining and that’s exactly what I wanted from it.